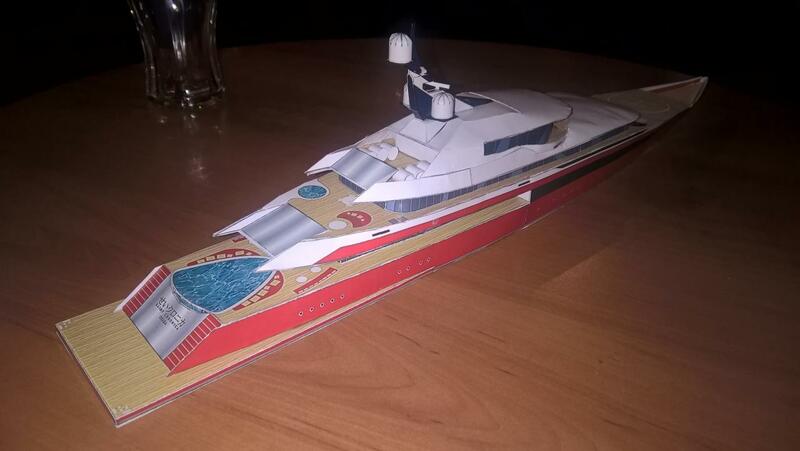 Anyone here has yacht and/or superyacht models?? 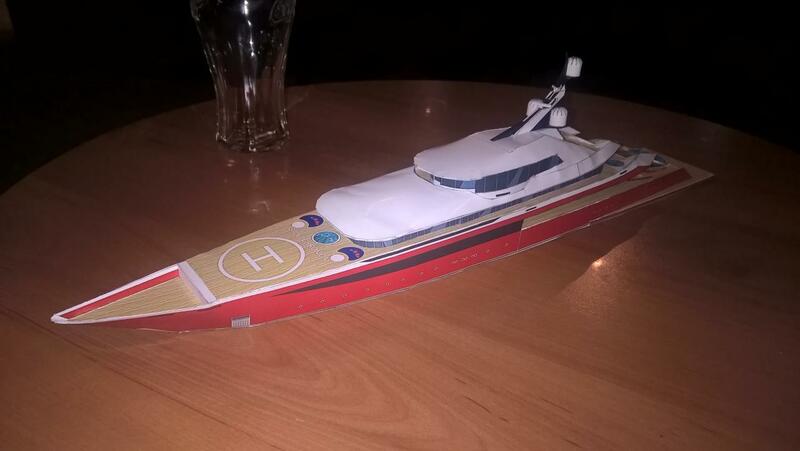 I designed and built mine the same way as my highway buses, though I had to resort to a 3D program to make the yachts. Will show you guys what I did so far, as well as what I plan to make, later in the day. For now, two photos of the latest one, Oceanco's 117m long DP055「TITAN」which I named「SAINT CHRONICA」.